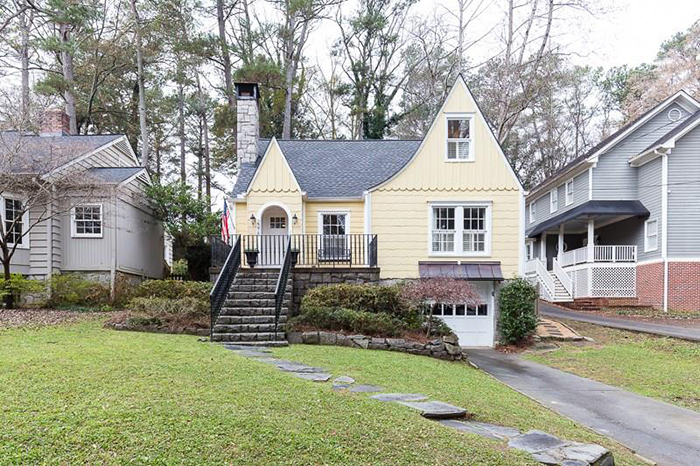 This beautiful, custom-built William Harrison-designed home on quiet street and large lot is in Sherwood Forest/Midtown, one of Atlanta's most sought after in-town neighborhoods. It has a bright, open floor plan and a huge, flat walk-out backyard on terrace level with koi pond, gazebo, stream, garden boxes and ample room for a pool. All of the bedrooms are en suites and the oversized master suite has enormous his and her closets, marble bathroom and home office. This exceptional, custom estate home masterfully designed by Kenneth Lynch and built by Richard Bondurant is set back on 1.16 acres for complete privacy. It features a breathtaking, floating staircase to all levels, cathedral ceilings, beautiful wood-paneled walls and a huge wall of windows overlooking the walk-out backyard. The private master wing is on the main floor. It also has an infiniti-edge Pebbletec Pool designed by Joe Gayle, a finished basement and a guest house with kitchen and living room above the three-car garage. 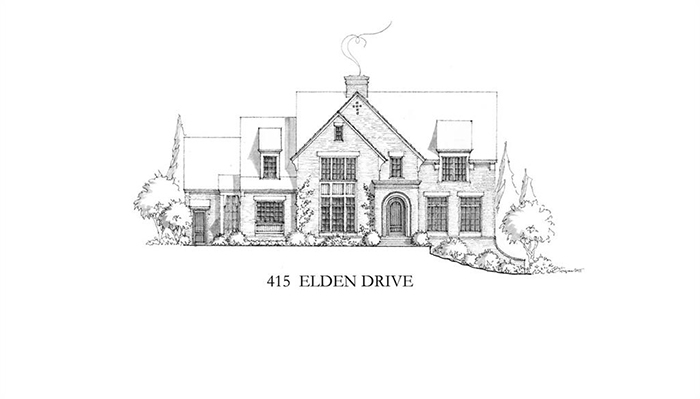 This fabulous custom home to be built by Pradera Homes in desirable Cardinal Acres will have five bedrooms and five-and-a-half baths. It will be an entertainers' dream with a main level featuring a professional kitchen open to a large central family room with a breakfast alcove and covered outdoor living area. There is an amazing master suite as well as a full daylight terrace level with optional finish to the buyers' specifications. 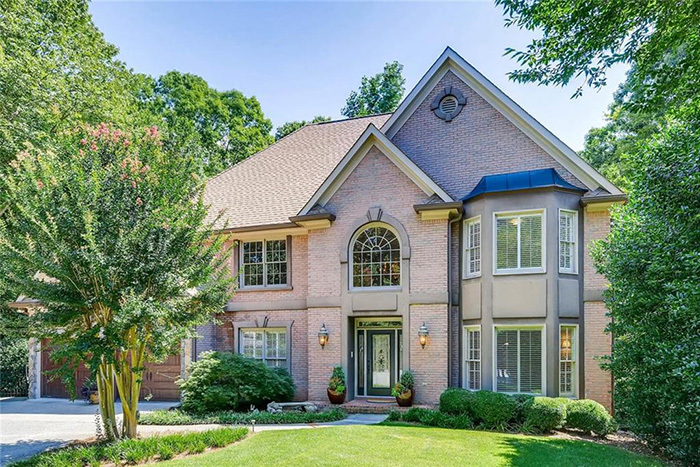 This move-in ready condo in Peachtree Heights West is one block from the shops of Buckhead Atlanta and the St. Regis Hotel. It has been beautifully renovated with surround sound, substantial mouldings, updated HVAC system, whole house water filtration system, Nest thermostat, Thermador oven with microwave and warming drawer, SubZero refrigerator, induction cooktop, new drapes and lighting. All the rooms open onto two covered balconies. 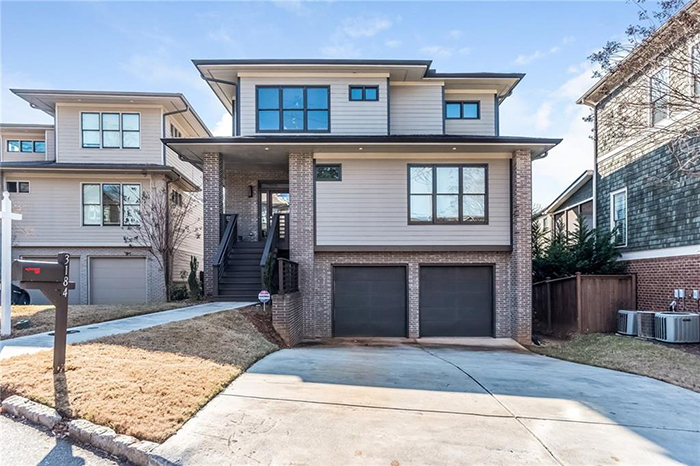 This contemporary home built by Epic Development in Lynwood Park/Brookhaven boasts superior finishes including a stacked quartzite wall with crystalline fireplace. It has three over-sized bedrooms and two full baths up as well as a guest bedroom and full bath on main, beautiful hardwoods throughout, finished basement with fenced yard. The chef’s kitchen has Bosch appliances, apron-front sink with a view to great room and dining room. This charming brick home on a quiet street in sought-after Argonne Forest has hardwoods throughout, a gracious foyer and a living room with floor-to-ceiling windows and a fireplace. The kitchen has stainless appliances and overlooks a private, flat, walkout backyard. The master bathroom has been renovated with custom cabinets, marble floors and counters and a second bathroom has been updated with a frameless shower door and subway tile. 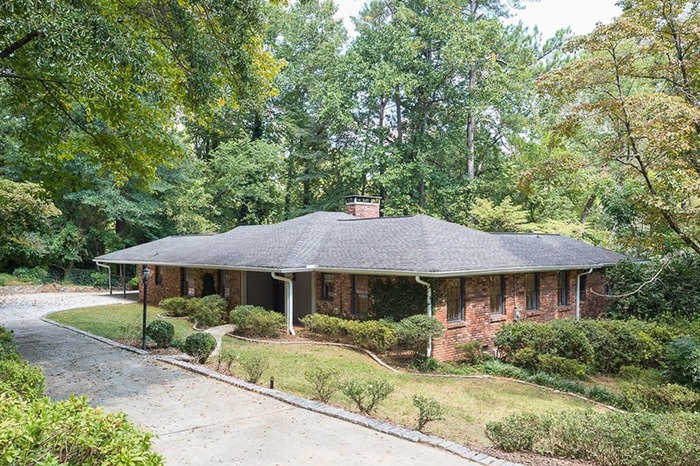 This mid-century modern home features an open floor plan with the utmost privacy tucked away on a quiet street in Druid Hills. The renovated home features generous square footage plus a rare master on main. 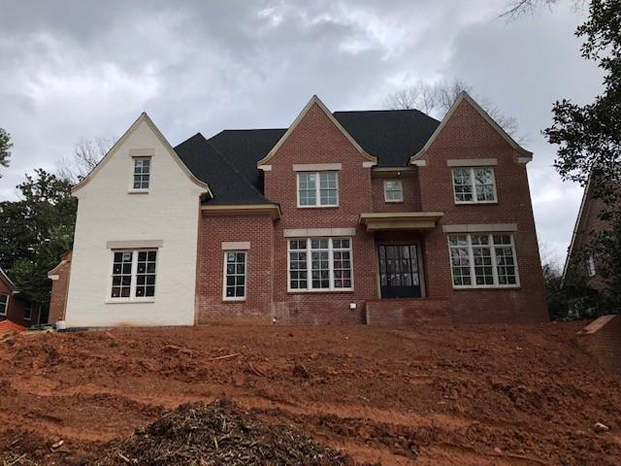 The main level also includes a family room open to the kitchen, a separate living room, dining room, two additional bedrooms and a hall bath, plus an office/nursery. 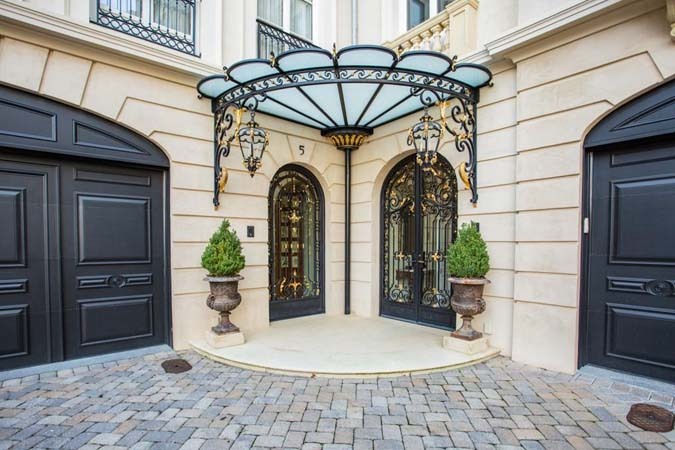 In a premier Buckhead condominium, this beautiful two-bedroom home is striking by day, stunning at night. Its panoramic views are mesmerizing. The open floorpan is light-infused and comfortable. 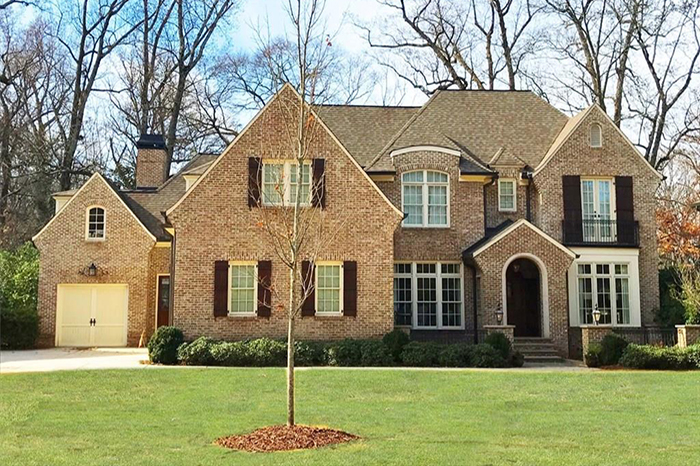 The location is minutes to Buckhead shopping, restaurants, the Garden Hills neighborhood pool and clubhouse, the Atlanta International School and a short drive to downtown. 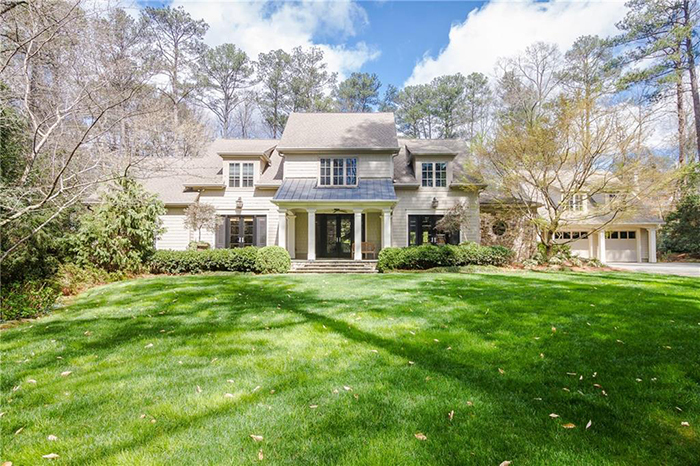 This large home sits on private lake and features a gourmet kitchen with a walk in pantry, butler’s pantry and breakfast bar, open to a two-story living room. It has a a separate formal dining room, office with built-ins and a main floor bedroom. The double garage has direct access to the kitchen. The over-sized master suite has a two-sided gas fireplace and a sitting room/office. 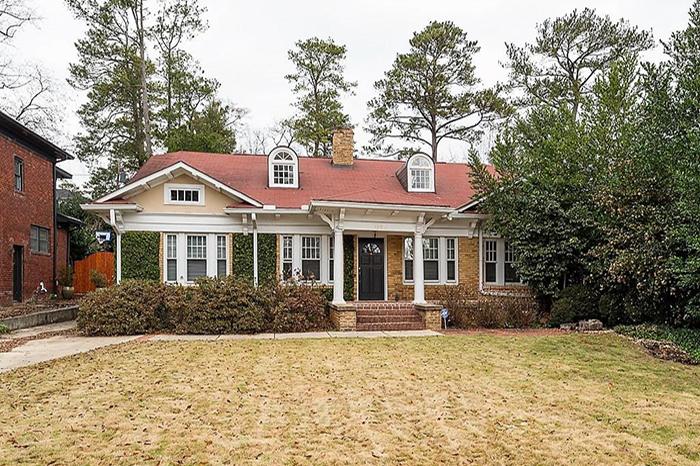 This charming renovated traditional house in popular Peachtree Hills has several upgrades, plantation shutters, hardwood floors and two living areas. It has a living room with a gas fireplace, separate dining room, kitchen with granite countertops, breakfast bar, custom cabinets, subway tile and stainless steele appliances. The master bedroom features a private master bath and walk-in closet. The deck has covered entertaining area leading to a private backyard. 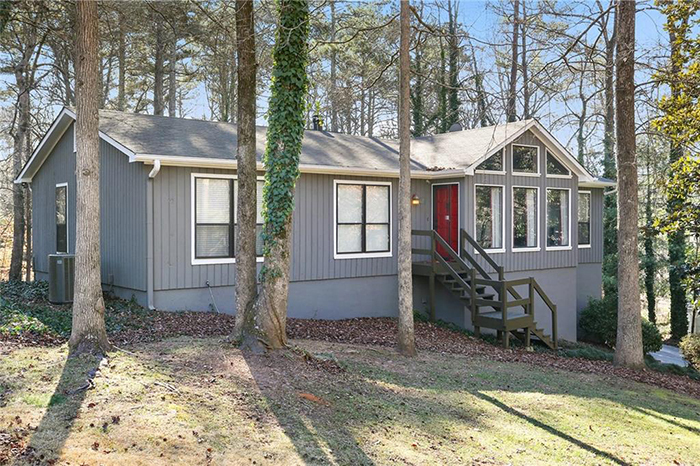 This handsome bungalow with an updated kitchen and bathrooms offers plenty of space and an easy living floor plan in a superb location just a short distance to the Emory University campus/village. The main level features a large living/family room with fireplace, separate den/study, big dining room and terrific, updated kitchen with Sub Zero, granite counters, five-burner cooktop and a breakfast area and walk-in pantry. It has three bedrooms and two full baths with classic finishes on main and an ample bonus/hang-out room upstairs. Build your home with builder Pradera Homes on this cul-de-sac lot in Cardinal Acres in the Riverwood International High School district. 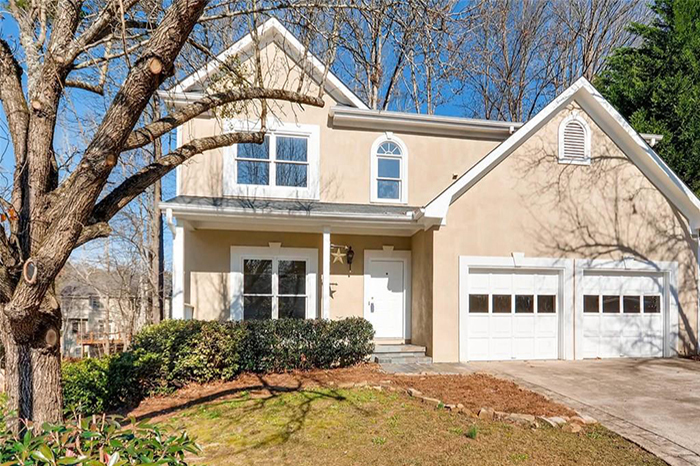 It is convenient to the Northside medical community and Interstate-285. This unique lot is awaiting unique construction in the Morris Brandon Elementary School District on three quarters of an acre. Permits are available as are other documents. Please notify listing agent to see the property. 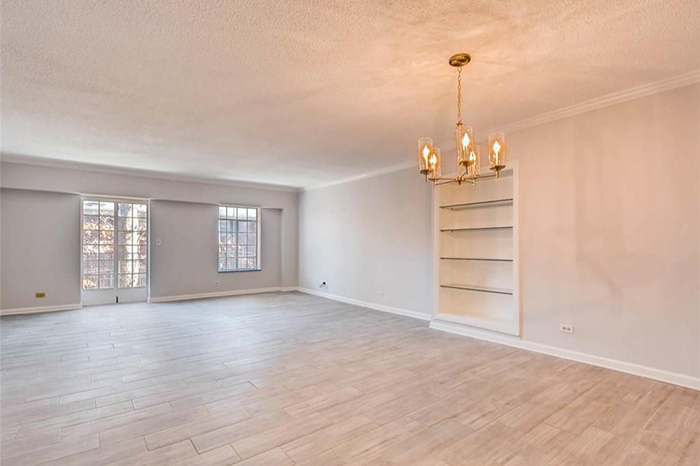 This fantastic opportunity in Buckhead is a renovated two bedroom, two bathroom condominium with close proximity to Phipps Plaza, Lenox Square, Town Brookhaven, Interstate-85 and Georgia 400. The kitchen features new stainless appliances and granite counter tops. This contemporary ranch-style home in the Pope High School district is on a private, wooded lot with a level play area and entertainment deck with a fire pit. 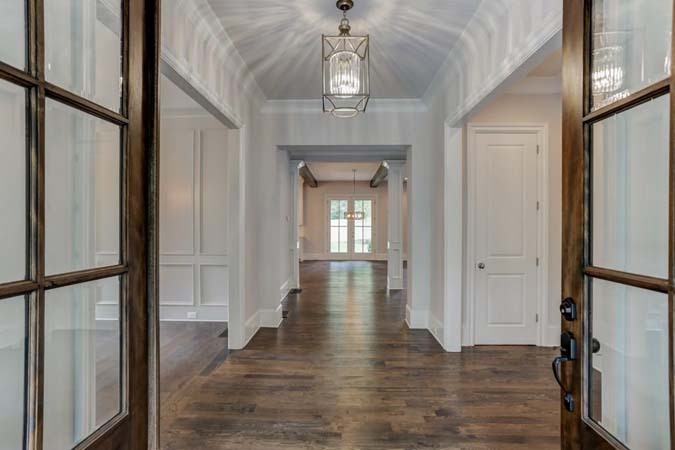 The home features hardwood floors throughout the main living areas and bedrooms. The vaulted family room has exposed beams and a stone fireplace and opens to a dining area and the kitchen, which has been updated with granite counters, stone backsplash and recessed lighting. 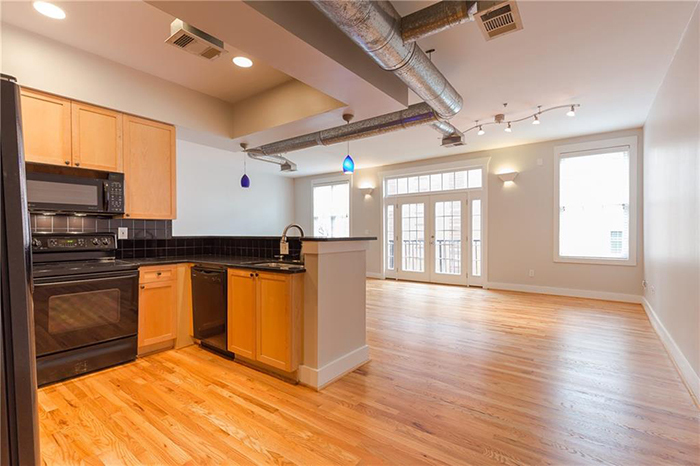 This freshly painted, open-concept unit is in the heart of Midtown, less than a block from Piedmont Park. 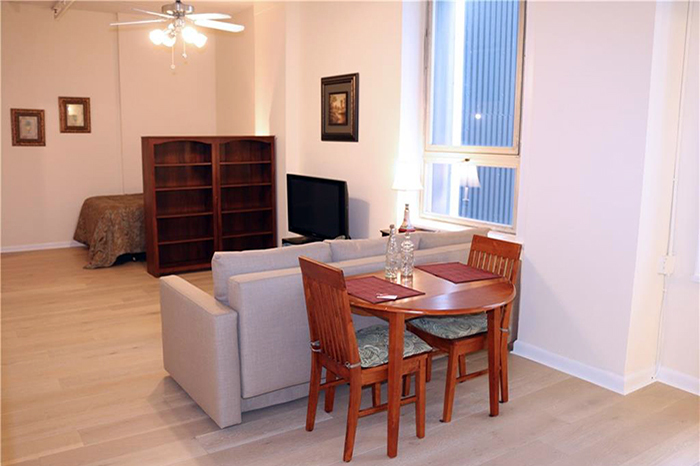 It boasts 10-foot ceilings, newly refinished hardwoods, a Juliet balcony and a new HVAC system. The spacious kitchen has a breakfast bar, wood cabinetry and granite counters. The master bedroom has an en suite bathroom with a soaking tub, separate shower and walk-in closet. This awesome third-floor condominium is located in the heart of downtown Atlanta, minutes from MARTA, Georgia State University, CNN, the Coca-Cola Museum, Philips Arena, Centennial Park and the new Mercedes Benz Stadium. The building has a gym, meeting room, secured access, and much more. 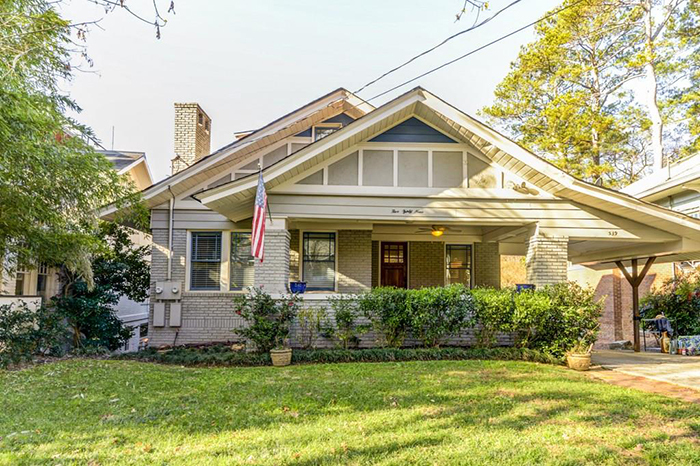 This totally renovated bungalow in Virginia Highland has skyline views right on Piedmont Park. The master and one bedroom with a full bath are on main, with two bedrooms and a hall bath up. This energy-conserving home helps save on utilities while still having the charm of an original bungalow. It has keyless front door entry and a security system with smart-phone capability. This beautifully refreshed home is ready for move-in with fresh paint, new carpet and brand new appliances. There is plenty of living space, a huge master bath and walk-in closets. The basement is perfect for a pool table, rec room or storage. The home is situated on a quiet little cul-de-sac and has level front yard and partially fenced, partially leveled backyard as well as a sizable back deck off the family room.